Chocolate Chunk Gingerbread Cookies – If you are looking for a soft gingerbread cookie with a hint of chocolate, then look no further. These cute little guys maintain their softness (thanks to coconut oil), and they pack a big ginger and cinnamon punch. Enjoy one, or more than likely two, with some hot chocolate for a perfect treat! 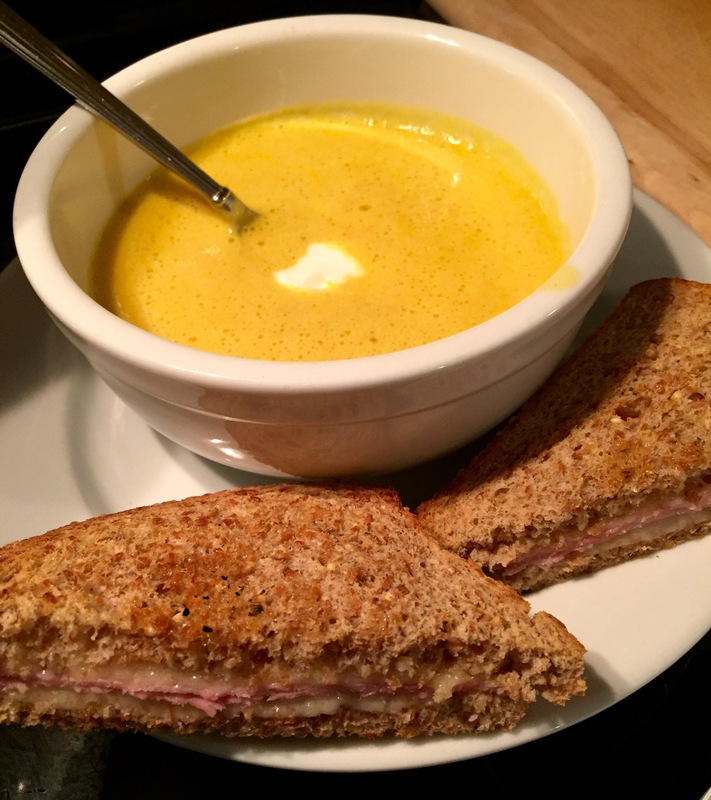 Vitamix Roasted Butternut Squash Soup with Hot Ham & Swiss Grilled Cheese Sandwiches – This creamy soup comes together quite quickly. Simply roast the butternut squash, and then blend it with the several other ingredients until it’s hot. That’s it! 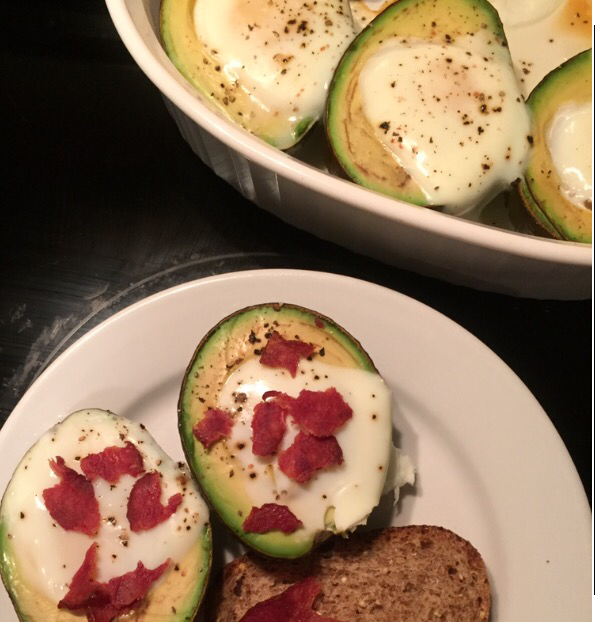 Serve it alongside a hot ham and Swiss cheese grilled cheese sandwich and you’ve got a fantastic meal that warms the belly and soul. Easy Caprese Salad – Recipe repeat alert! I can’t count the number of times this recipe has saved the day when I have less than 30 minutes to make dinner. Not only does this come together fast, it can be made in advance too. 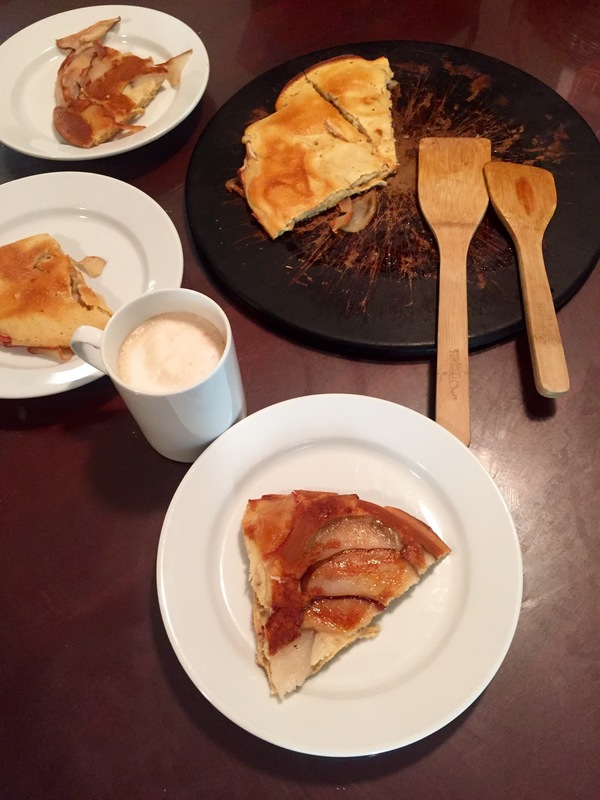 Pear Apple Oven Pancakes – Here’s a great Christmas morning breakfast option. I don’t know about you, but pears and apples are in abundance this time of year #officegifts. Put them to good use in a most delicious way. These pancakes are sweet, cinnamony, and visually impressive. Directions: Preheat oven to 350 degrees. Combine dry ingredients in a small bowl. Combine and whisk wet ingredients until coconut oil is pea size or smaller. Add roughly 1/3 of the dry ingredients to the wet ingredients and mix with a spatula. Repeat until dry ingredients are combined into the wet. 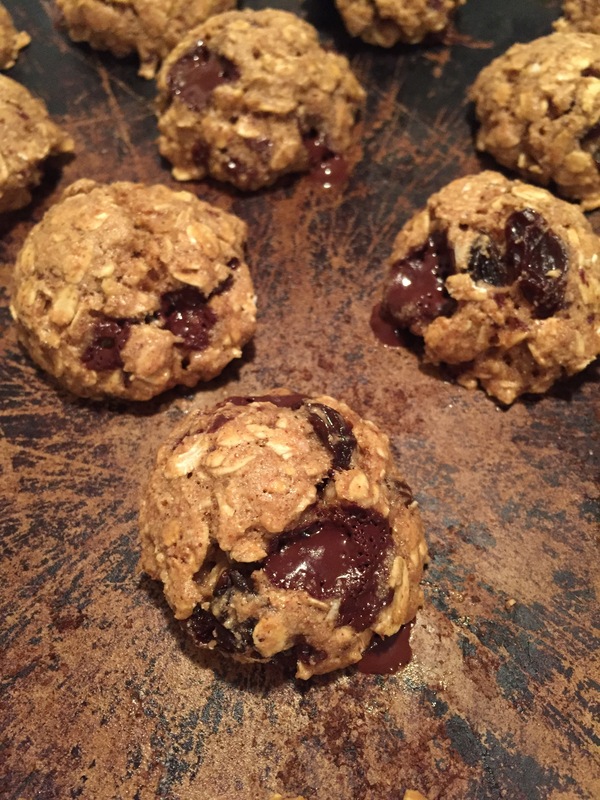 Top with chocolate chunks. Dough will be too dry to mix in chocolate using spatula. With your hands, work the chocolate into the dough just until the dough becomes shiny (warmth of your hands will begin to melt the coconut oil resulting in a shiny surface and provide additional moisture). Roll out the dough on a lightly floured surface (or between two sheets of parchment paper) to 1/4 – 3/8 inch thickness. 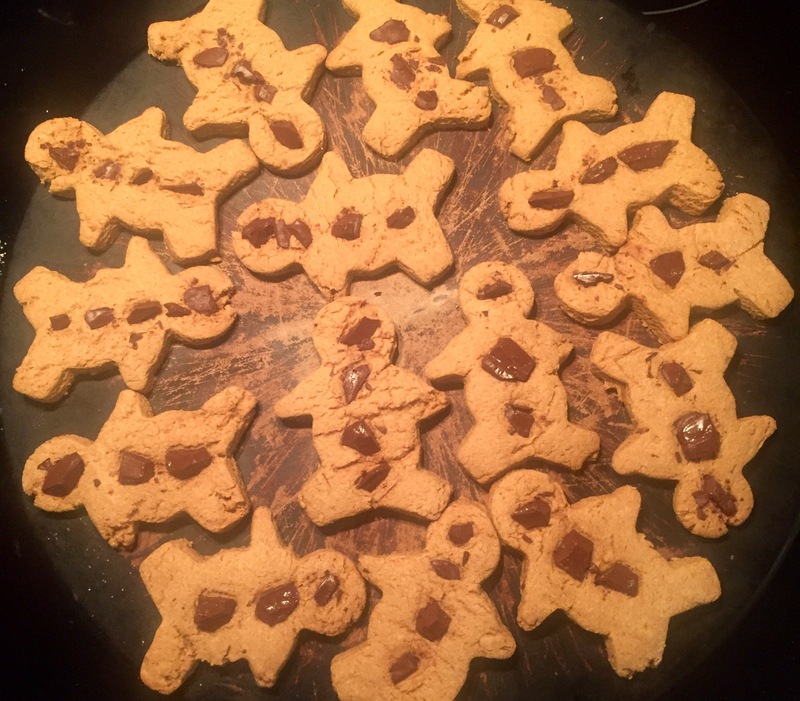 Cut out cookie shapes and bake for 10-12 minutes until edges begin to brown ever so slightly. Do not over bake. Gingerbread men will still be soft in their belly regions when done. Note: I bake them on a baking stone. If using a baking sheet, they may require less baking time. Directions: Heat oven to 400 degree (bake, NOT convection). On a baking sheet, lay butternut squash halves flesh side up. Drizzle with olive oil and sprinkle with sea salt/pepper. Roast for 20-25 minutes or until the flesh is very soft. Remove from the oven and allow to rest until it can be safely handled and the flesh scraped out with a spoon. Place the remaining ingredients in the Vitamix container in the following order: broth, squash, maple syrup, nutmeg, cinnamon, cheese, and bread. Select lowest speed and slowly increase to highest speed. Blend for 4-5 minutes or until heavy steam escapes from the vented lid. If you have a soup setting, select this instead. Season with sea salt/pepper, to taste. Consider a dollop of organic Greek yogurt for a slight tangy quick.